HomeBlogHome DecorWall Clock W300S9W by Oliver Hemming. Designed and manufactured by award-winning British designer Oliver Hemming, the Wall Clock W300S9W is polished and modern with a hint of retro charm. 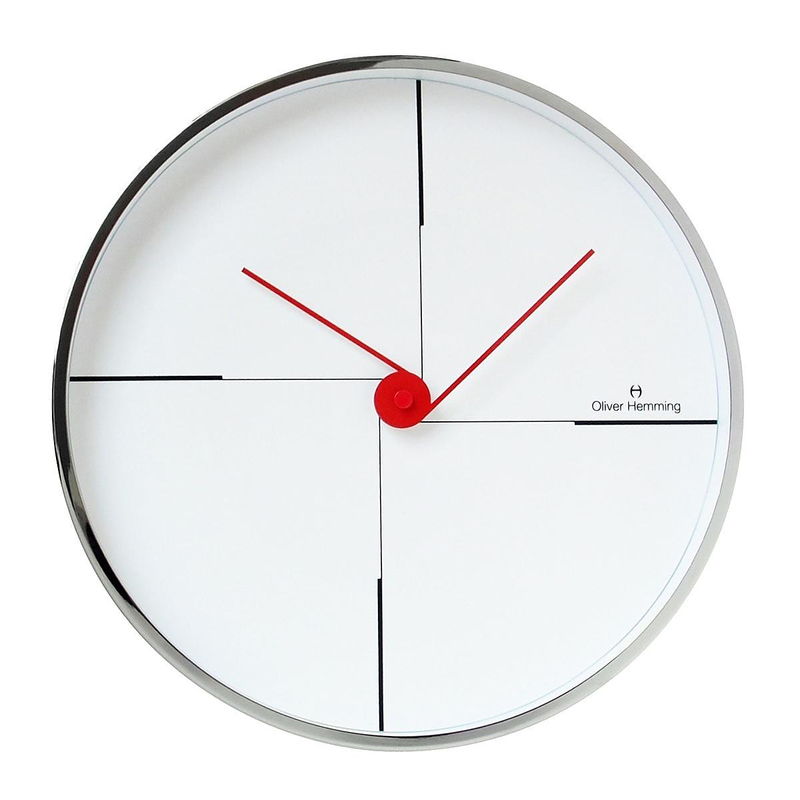 This stunning 300mm wall clock wastes no time in attracting the attention it deserves. The shiny chrome steel casing gives the clock a sleek modern look. 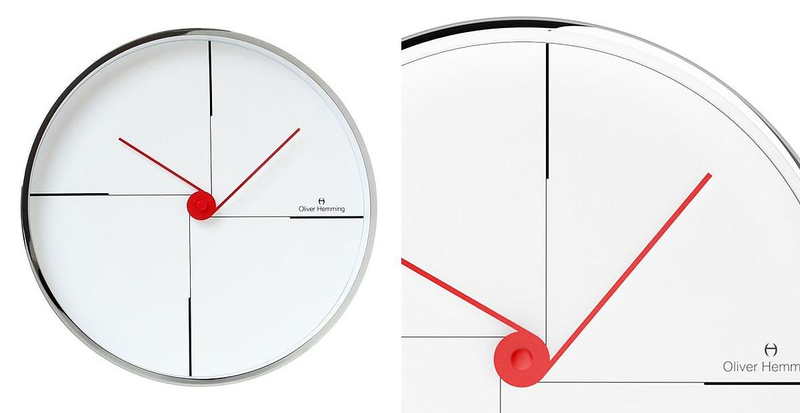 Yet the red and black accents around the clock with their distinctive geometric pattern add Bauhaus charm. The Wall Clock W300S9W is a minimalist clock with unique offset hands that stand-out for their elegance. Like all Oliver Hemming wall clocks it comes with a reliable mechanism with super quiet action and real glass lens. About the designer: Oliver Hemming is an award-winning UK designer who integrates his design studio with process of creative and nimble manufacturing. As a result of this process the craftsmanship is outstanding and fresh, with familiar designs that harken to the boldness found in 1960’s London. 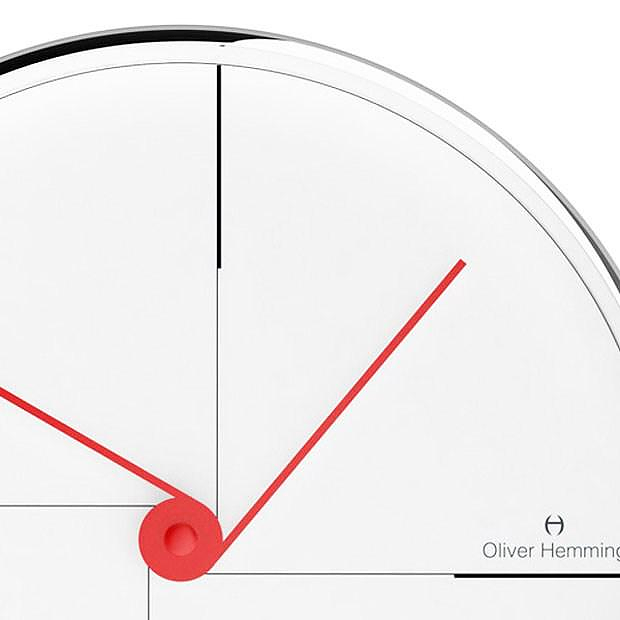 Established in the late 1990’s when Oliver Hemming started manufacturing his own designs and using his name as a brand, his stylish clock collection is placed with many of the best retailers and design museum stores around the world.